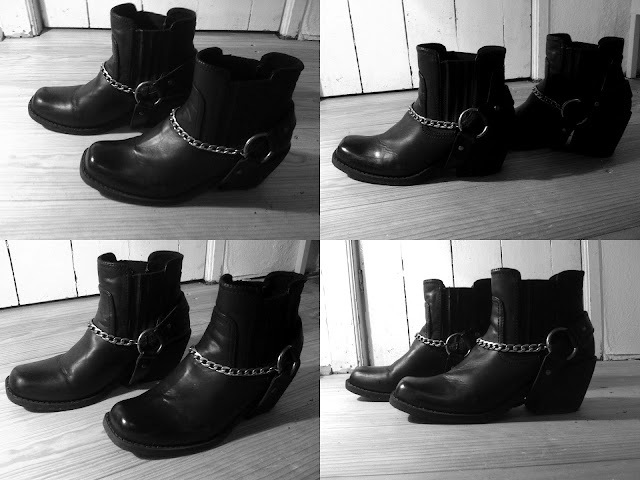 I'm so in love with my new biker boots! I was wearing them the whole weekend, I love how they are getting more and more this used look. Sorry for bad quality photo. Want to see an outfit post with them.